Letting go. My mantra for 2017. I need to get myself emotionally ready for my kids growing up and soon to leave the nest. I know it is not till 2018 but I also know I am terrible at this. I know…this is part of the parenting journey, it’s about letting them spread their wings and fly, like the way my parents did for me. But I still hate it! I will learn to be strong, for them, for me. 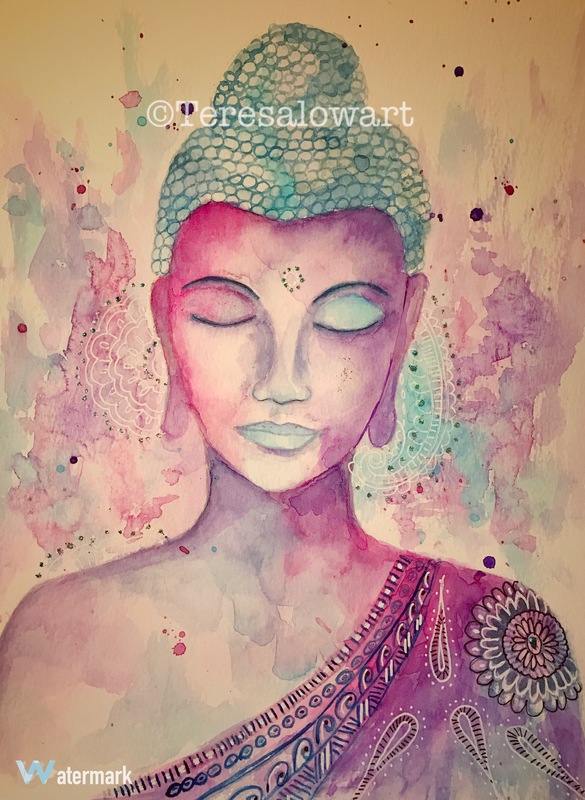 Btw, I am not a religious person, just got inspired to paint the Buddha. And some of the Buddha teachings do resonate with me. Oh my gosh Teresa!! This is beautiful, figuratively, literally, and emotionally. What a magnificent and sometimes torturous journey letting go is. Thank you for sharing. So quantumly vital.